Live, Laugh, Love Second: Monday Made It! Happy Monday! 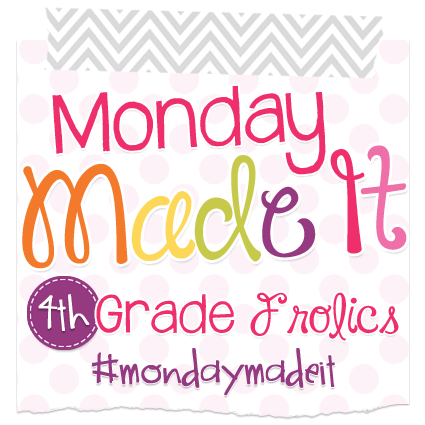 I am linking up again with Tara from Fourth Grade Frolics for her summer Monday Made-It! I've been wrapping up a grad class, so my "made-its" are pretty thin this week, but I do have some fun things planned for next week, so make sure an check back! 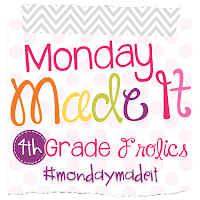 But for now, see some of the fun ideas below, and then head over to Tara's blog by clicking HERE to check our some other great Monday Made-Its! Content Folders: I found these 7-pocket flexi-folders at Walmart on clearance for $2.97 each. They were regular $6.99. I used one this year to hold my daily sprints, application problems, and exit tickets for my Eureka Math program. I absolutely loved it because I could just reach in a pocket and grab out everything I needed for that day. There was no searching through stacks. Everything was in one place for easy access. Then I would just put the folder in my drawer with my teacher guide. Hall Passes: Last year, I found these adorable rubber emoji luggage tags on clearance at Walmart for .50 each. I bought several of them because I thought they would make great hall passes. Mine have a tendency of just getting, well...gross. Since these were rubber, I knew they would be easy to clean! I put the little pincher clip on, and they were perfect! However, I was obviously in a rush to use them because all I did was flip over the address card to the blank backside and write my name in Sharpie. There was a little sheet of plastic covering the card, but they were just starting to look gross. So...using the same PB fonts, I whipped up these new inserts for my passes. I printed them on cardstock and laminated them for durability. They look so much better and are ready for my new batch of second graders! Doormat (in progress): If there was a "almost" made-it button, I would be using it for this project! I found this rug at IKEA for $9.99, and I have big plans for it that involve my Silhouette Cameo 3, craft paper, sticky spray, and spray paint. But...you'll have to come back next week to see the finished product! I hope it comes out as great as I'm envisioning it in my mind! New Brand Design: Okay-so obviously I didn't "make" this myself. But...I did finally make the decision to redesign my brand and blog. I'm working with Becca from Jumping Jax Designs, and I am SOOOOOO EXCITED! Here is a sneak peak at my new logo. Isn't it amazing??? I just cannot stop looking at it! I cannot wait to see everything when it is all complete. It is crazy how you give someone the most vague ideas of what you want, and they can turn it into exactly what you want! I hope you all have a fantastic week! Yes - love your logo! I can't wait to see how the doormat turns out. I never thought of using my Cricut to make a doormat. Hmmmmm. Sounds fun!! I hope it works! Your emoji key chain / passes are adorable, too! Love....Love....Love your new logo! Can't wait to see how the doormat turns out. The content folders a fantastic idea!